For those of you too busy during the week, we offer weekend classes as well. Not too early, so you can sleep in a little, and not too late that you miss out on happy hour. 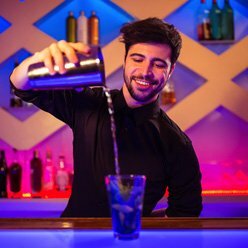 Come join us for a few hours each day to learn some new drinks and practice your cocktail making techniques. Balance due on the first day of class.